My desire to teach has evolved organically from my desire to learn and grow. Reaching out to others as a teacher is a natural extension of encouraging beauty and transformation in the world. 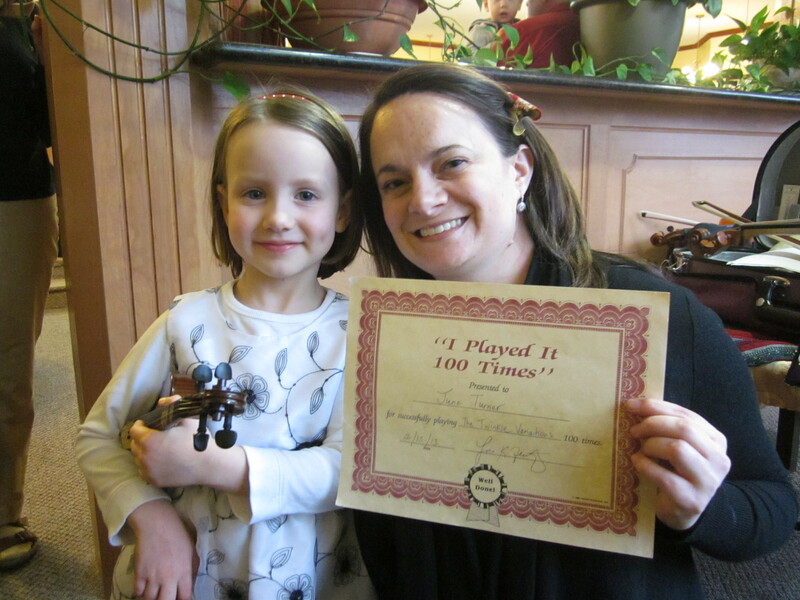 My goal as an instructor of violin is to ensure that every student regardless of age, “talent”, or background, is given the opportunity to play well with natural posture and facility in order to accomplish whatever diverse goals they may have in life. I encourage mastery and competency, but ironically I seek to become superfluous by transforming my students into life-long self-teachers. Without creating self-judging perfectionists, I hope to install in students a desire to constantly sharpen their skills and abilities with the end goal of falling in love with the irresistible art of music. My experience learning the Suzuki Method with very young children inspired me to recognize the innate creativity and ability in every person. Personal experience has added to this view that consistent perseverance towards a passion will almost never fail to bring results. To this end, I find as many different avenues as possible to expose students to fine performances, discussions (in a studio class setting), opportunities to perform, and opportunities to self-reflect (video analysis, post-performance review). Several of my teachers were Ivan Galamian’s students. Galamian encouraged teachers in his book, “Principles of Playing and Teaching,” to approach each individual student as a unique player, learner, and artist. I have had personal experience with overcoming physical injuries and challenges and have been able to help many of my students to reach a greater level of freedom in their playing through patient and persistent experimentation. My son who is 8 and husband would like to take lessons for violin together. Do you have any available times on Tuesday or Thursday evenings? I apologize for not responding earlier. I have been having technical difficulties with the website and just saw your message! If your son and husband are still interested, I have openings on Tuesdays at 5:45 and Thursdays at 6:30 (or later). Feel free to email me at loisgeertz@gmail.com with details or other questions.